Home » Entertainment » Hollywood » Hollywood Buzz » Justin Bieber Arrested by Miami Beach Police! Police in Miami Beach say pop singer Justin Bieber has been arrested and is accused of drunken driving and drag racing. The Miami Beach Police Department confirmed 19-year-old Bieber’s arrest Thursday morning in a tweet on its official Twitter page. Police say the pop star was drag racing on Miami Beach early Thursday. Officials at the Miami-Dade Department of Corrections say Bieber has not yet been booked into jail. 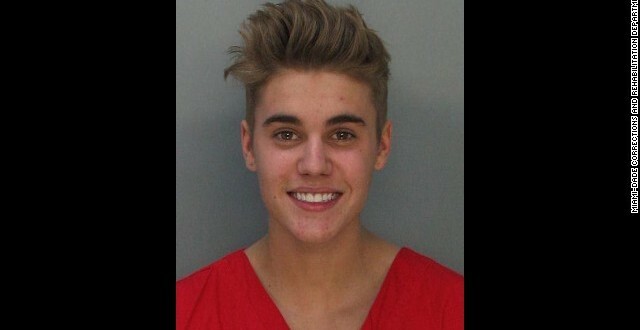 The arrest comes on the heels of another controversy for Bieber. Officials have said that detectives in California recently searched Bieber’s home looking for surveillance footage that might serve as evidence the pop star was involved in an egg-tossing vandalism case that caused thousands of dollars in damage to a neighbor’s home. In that case, authorities arrested one member of Bieber’s entourage on suspicion of drug possession. Michael Jackson New Album XSCAPE to be released on May 13th!